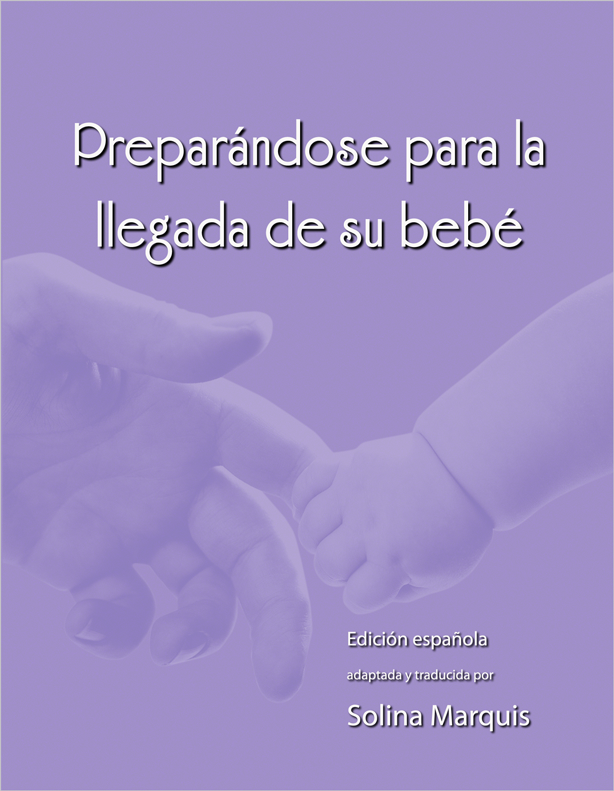 We strive to bring you the most current, cost-effective, Spanish-language childbirth handbook available. Our cover captures the powerful bond between parent and newborn with the grasp of a baby’s tiny hand. The photo art and quotations on the section dividers further explore the wonder and magic of pregnancy, birth, and new parenthood. The contents and numerous illustrations address the concerns and the process of pregnancy, birth, and the postpartum period. To help evaluate diet, we have included a chart of the protein, calorie, and fat content of common foods. It includes a designation to identify foods that are high in folic acid, calcium, and vitamin C.
This chart summarizes recommendations from the American College of Obstetricians and Gynecologists (ACOG), the American Academy of Pediatrics (AAP), and La Leche League regarding the use of alcohol, tobacco, caffeine, and legal and illegal drugs during pregnancy and breastfeeding. For references, we cite Planning for Pregnancy, Birth and Beyond by ACOG, and The Breastfeeding Answer Book by Nancy Mohrbacher and Julie Stock, published by La Leche League. We are very pleased with the beautiful artwork by medical illustrator Steven Brown on our labor and birth guide. We especially like the way he shows the muscle fibers of the uterus overlying the baby without interfering with the view of the baby. ”How long will labor last?” is one of the most frequently asked questions in childbirth classes, and one of the hardest to answer. We provide information on the factors that may influence the length of labor, and we reassure parents about the many variations in labor patterns. Many childbirth educators asked us for a visual representation of the paced breathing patterns. We think these detailed drawings will appeal to all, but especially to our visual learners. Rationale for each of the positions accompanies the illustrations. Photographs of various positions for comfort and relief of back pain help to reinforce upright positioning and movement in labor. This checklist is designed to provide mothers with accurate information and instruction in a reassuring and positive manner. Information on newborns, including discussions of temperaments and activity states to help parents better understand their baby.